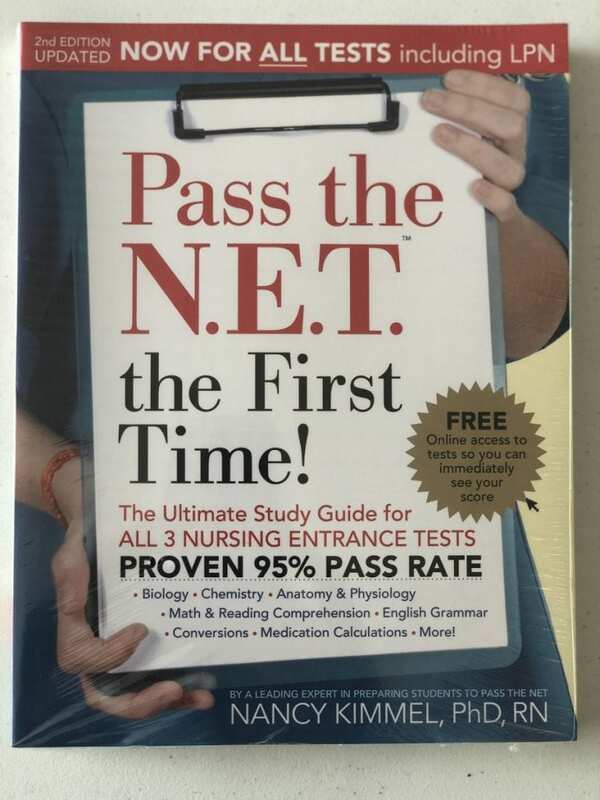 Pass the Net by Dr. Nancy Kimmel, RN, the Book; All the practice that you need to pass the Nursing Entrance Test. Pass The NET, The First Time. Contains over 1000 questions on Biology, Math, Reading Comprehension, English Grammar, Anatomy and Physiology in a 450 page book. The NET (Nursing Entrance Test), HESI, HESI A2 and the TEAS, is a computer based test consisting of six parts: math skills, reading comprehension, test taking skills, stress level, social interaction, learning style, Anatomy and Physiology, Biology, Chemistry and English Grammar. All six parts must be completed in order to receive scores and be considered for admission in a nursing school. This book will help you achieve your dream of becoming a nurse.